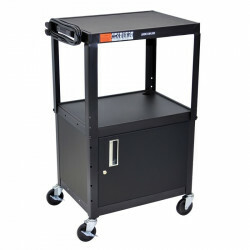 The Offex OFWB-AVJ42 Series are excellent multipurpose AV / Utility Carts. 24"W X 18"D X 24"-42"H Adjustable height from 24" to 42" in 2" increments. Shelves are 24"W x 18"D. Roll formed shelves with powder coat paint finish. Tables are robotically welded. Cables pass through holes. 0.25" retaining lip around each shelf. 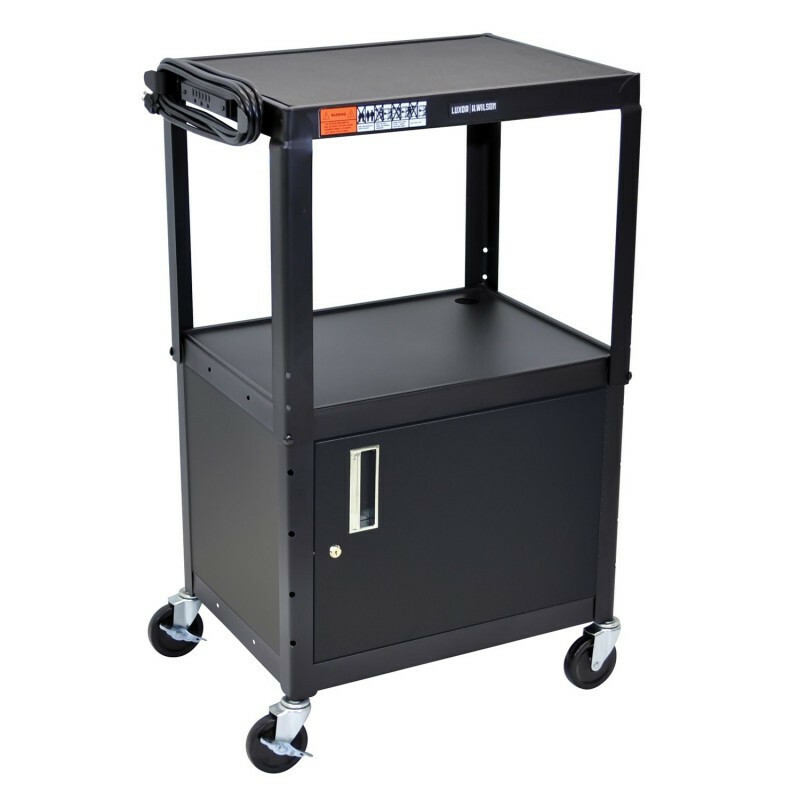 This Cabinet model has reinforced locking doors with full length piano hinges and is made of 20 gauge steel. Inside dimensions are 17.5"D x 24"W x 16.625"H.